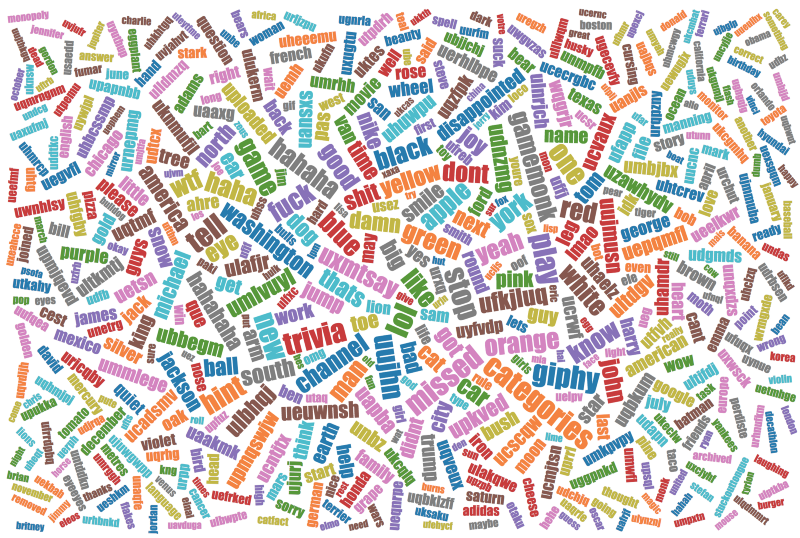 Dashbot’s Word Clouds identify top 100 words used in incoming and outgoing messages. We provide a variety of reports and charts that offer insight if you investigate a little further. Now with Word Clouds, trends and patterns float to the top so that you don’t have to dig as much. Frequently used words can easily be spotted in Word Clouds given that the size of the word indicates the volume of usage. You can understand how people interpret your brand and get a quick glimpse of overall perspective. Users send in messages that include the word “categories” which indicates the popularity of that specific type of trivia. Users express disappointment with profanity when their trivia answers are incorrect. 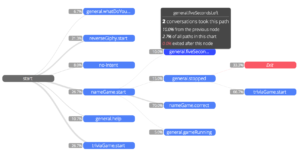 Users are asking the bot to provide a “hint” which might imply that there needs to be a wider range of difficulty.